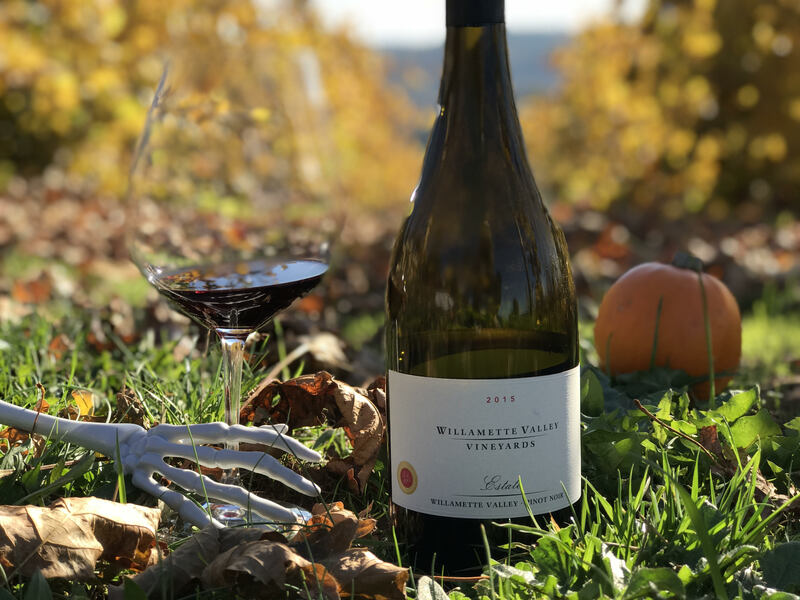 Celebrating Halloween is always a scary good time at our Estate, south of Salem. 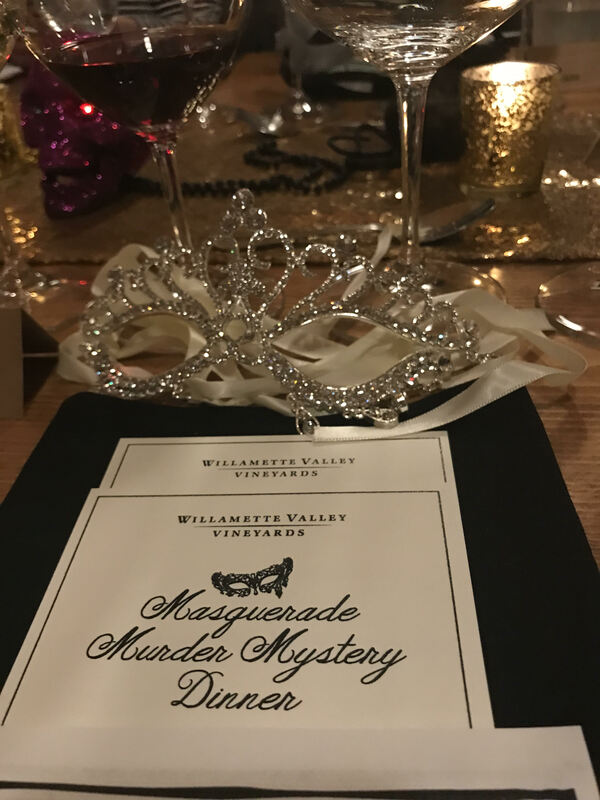 This weekend we enjoyed hosting many of our Wine Club Members and Owners during our annual Murder Mystery Dinner! This year, our members dared to join us at the Mayor's mansion and and enjoyed a custom New Orleans inspired menu created by Winery Chef, DJ MacIntyre paired with our latest wine releases. Little did they know, there would be more than wine pouring during their dinner...but maybe even a little blood. 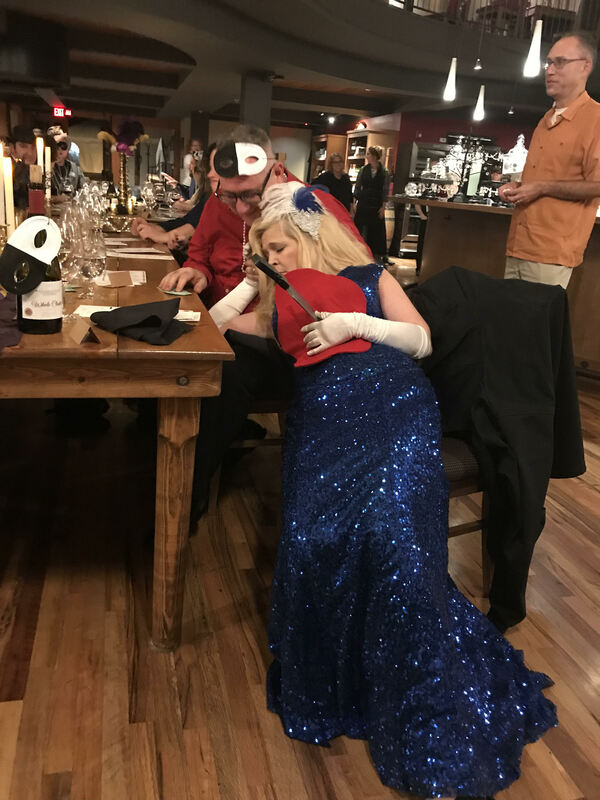 Today, many team members are enjoying the fun of the holiday and dressing up for our guests who join us for a tasting. 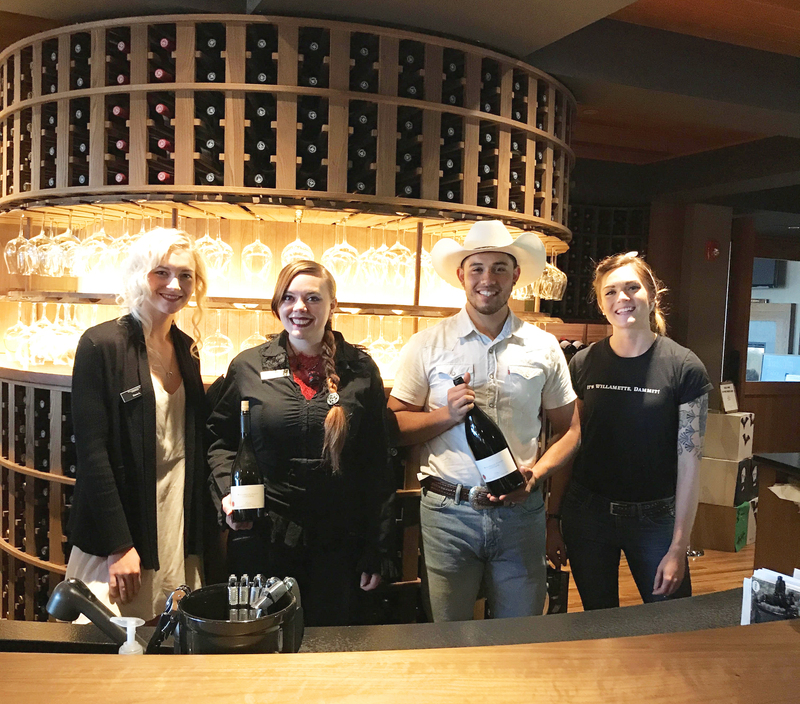 Introducing our new Tasting Room Associates: Rosie, John Wayne, Elvira, and Ms. Marilyn Monroe. We look forward to seeing all of our ghoulish guests dressed up and enjoying some of our classic Oregon wines!